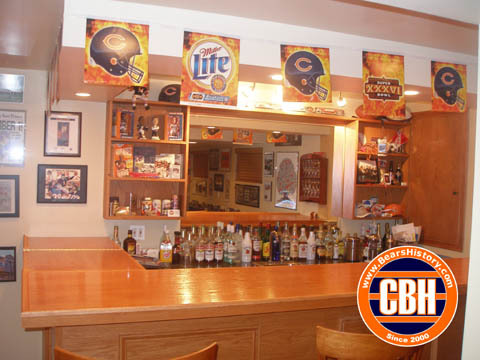 Photos of my Chicago Bears Bar, recently featured in the Chicago Tribune RedEye Edition. Photos updated September 2007. Photo of the spread in the RedEye, photos taken during our opening day party. The full article is also available here. 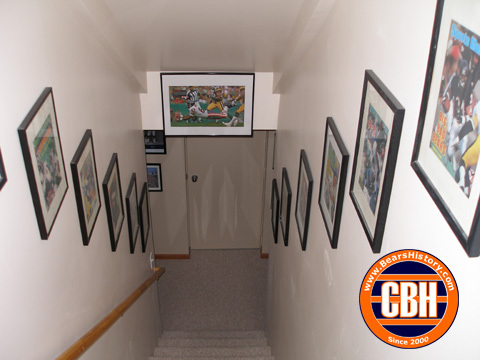 A normal suburban house...until you walk down the stairs to the basement. 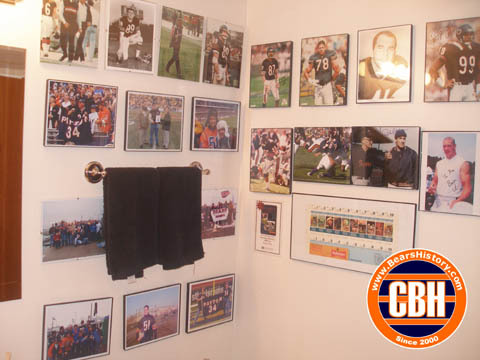 I have every Sports Illustrated with the Bears on the cover since 1977 hung by the stairs. This is currently my main wall, with personal momentos as well as Bear photos and such. 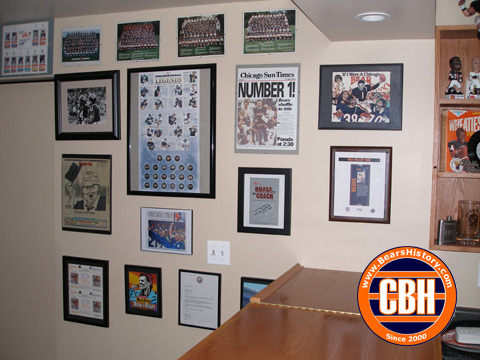 View of the custom border I put up as well as a few articles that have been written about me and the site. 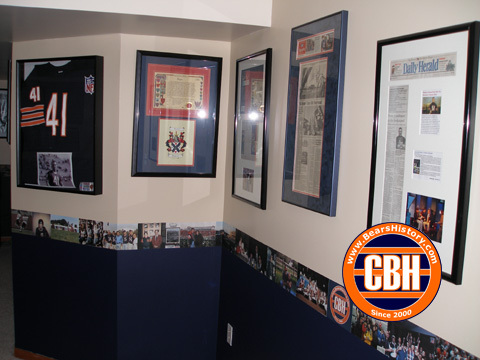 On the very left is my framed Brian Piccolo jersey. 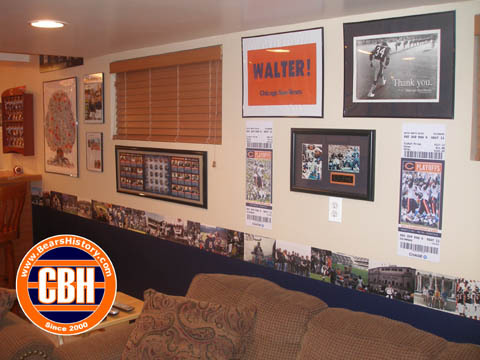 This is almost the "Payton wall", with photos of Sweetness, the program from his public memorial and even the real estate flyer from the sale of his house at 34 Mudhank Road in South Barrington, IL. 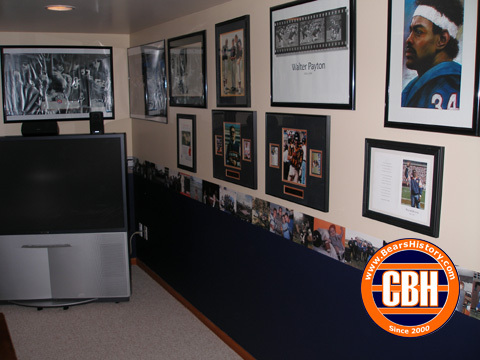 Few more Payton momentos including the sign they handed out at his last game in 1987, the Bears Family Tree, and some blowups of my playoff ticket stubs from www.thatsmystub.com. Hard to capture the essence of the bathroom without a wide-angle lens, but this is one side of it.